HTC said it was "inspired by Windows Phone 8" to create something completely fresh, and its new Windows Phone 8S (yep, that's its full name) is the result. It's beautiful, comes in a variety of colors, and boasts some respectable mid-range specs. Thinking of getting Nokia's Lumia 820? You'll want to check out the 8S, too. Designed to be the younger brother to HTC's flagship 8X, the new handset is a reflection of the unique OS running under the hood. 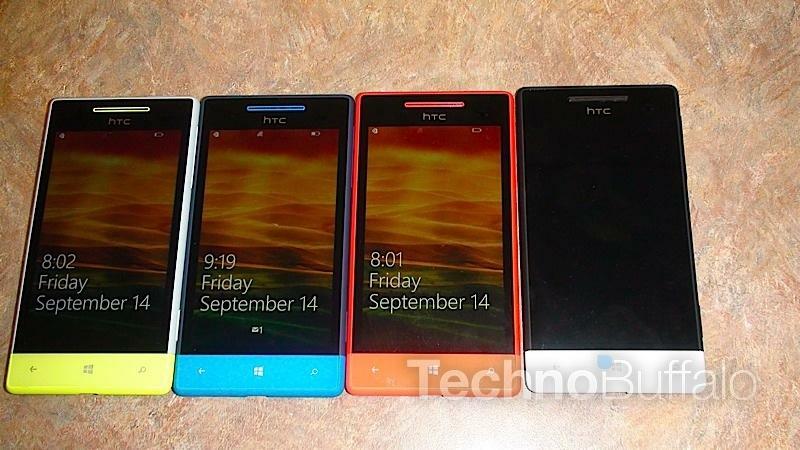 It's clear HTC has gone head first into its new Windows Phone devices — unibody styling in multiple flashy colors: Domino, Fiesta Red, Atlantic Blue and High-Rise Gray. Equipped with a 4-inch super LCD display (800×480), 1GHz dual-core Snapdragon S4 processor, 4GB of internal storage (microSD expandable up to 32GB), 1700 mAh battery and 5-megapixel camera, the 8S is a formidable mid-range device that is the perfect introduction to the world of Windows Phone. It bests the 8X in that it offers expandable storage, but it doesn't offer the enhanced 3.5mm audio out, or NFC. Other additional specs include 512MB RAM, 10.28mm thickness and Beat Audio. It obviously won't canibalize 8X sales because of its specs — but it's all about user experience when using Windows Phone, and the 8S is a nice window into Microsoft's mobile world. No price point has been shared, but HTC did say the device will be available in November alongside the 8X. Stay tuned for a hands-on.